The DISC Profile is a great tool that we can learn in order to help our relationships grow stronger. 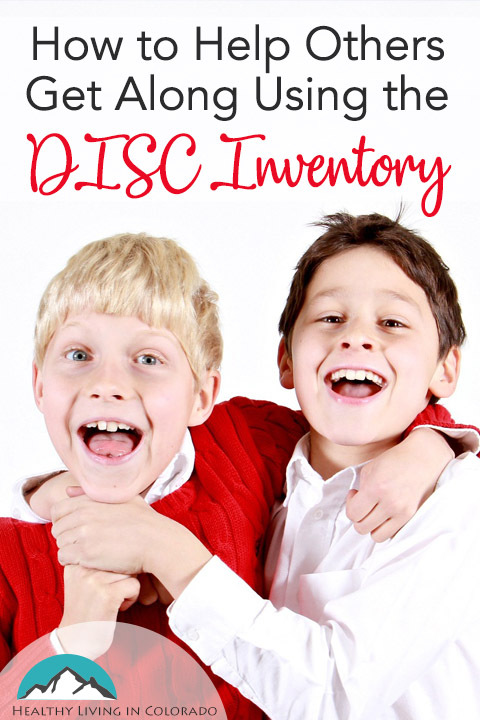 Today we have a guest post from a blogger mom and DISC profile expert, Alison Millikan. I wanted to partner with her because the DISC profile is a wonderful way to improve interactions with others. And it also helps us communicate better with those who are important to us. Our families are important of course, so below you will find tips and stories to help you see how the DISC profile can be used with parents and children. And we will see how our children can use DISC to improve communication with each other as well. I have two boys and two girls. 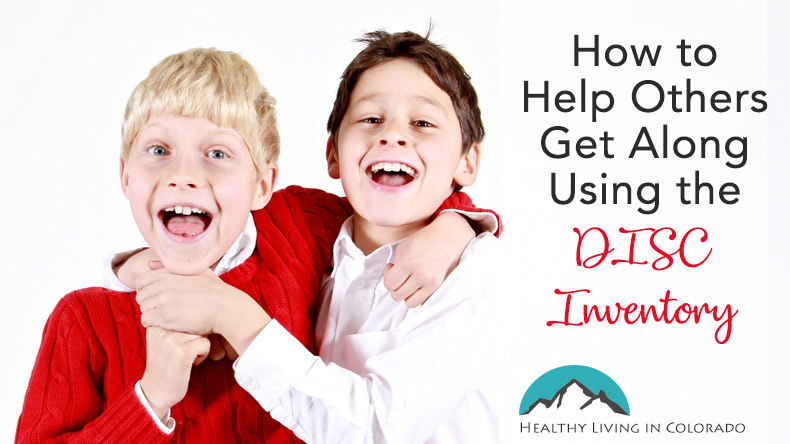 It is amazing how kids from the same family with the same parenting approaches can develop so differently and have such opposing personalities. One child at 2 ½ years old asked us about the difference between Santa and God and if they were both real. Another child at 2 ½ couldn’t speak in complete sentences. One child wants to be home as much as possible, while another is always asking where we are going next. A heart connection takes on a different shape with each one because they are different people. The way they bond, communicate and relate is unique. There are a lot of different personality inventories, from the Enneagram, Myers Briggs to the DISC behavior test. Obviously children are still developing, and so all of this has to be held loosely. We used the DISC to understand our children a little better, mostly because rather than focusing on personality it focuses on behavior—something that is easier to see at a younger age. It discusses innate behaviors and how people are going to respond in various circumstances. Our younger son is a whirlwind. Yesterday he got up, went fishing, later he swam, paddled and hiked by a local lake and he finished the day competing in his first triathlon: swim/bike/run. Once he has an idea in his head, he is going to push and push and persevere to make it happen. I regularly complain that I spend more time trying to have him clean up his messes than the other three combined. He regularly says, yes. He might change his mind later and decide it wasn’t worth it and frequently will try to change some rules to make it more fun for him. And even though he will persevere, he sometimes gets anxious in the process. My older son is very selective about what adventures he chooses. He wants to know all the details, the destination, the outcome, who is going to be there. Then he wants time to decide. He is regularly on YouTube and Wikipedia researching something/someone. He saves his money until he knows exactly what he wants to do with it. If he starts something he wants to finish it well. And he wants to know the rules and the boundaries to make sure he doesn’t cross them. In the language of DISC, the older one is a “high C”-highly conscientious. The behavior of someone who scores high on the C scale typically is task focused and moderately to slow paced. They are careful and systematic when managing uncertainty. The higher you score on this scale, the more you are a systematic rule follower. Procedures and rule are there to help, to maintain order, to make things more efficient. The other son, I would predict, would score really low on the C-scale. Rules are suggestions, but if they don’t work then he is happy to create a new path or new rules. This son’s behavior exhibits “high D”-highly dominant. Like the C, a D is task-focused. BUT they are faster paced and driven and assertive when it comes to solving problems. While a C wants time to research, to understand, to get to know the rules a D plows ahead, breaking down barriers and creating new rules and procedures to get the job done. Now ask our high C and our high D to play a game of bump together on the basketball court. The C wants to make sure they know all the rules and follow them. The D cannot bear to stand around and listen to the rules and is happy to challenge the rules if they don’t run in his favor. It is literally infuriating to our C son when our D son doesn’t follow the rules. And when the C tries to explain and enforce them, the D frequently walks. DISC has given both boys and us a language to understand each other and figure out how to cross the bridge of their differences. Rather than just fight or ignore each other, they are learning how to communicate to someone who’s preferred communication style is different, how to relate to someone who behaves in the exact opposite way. And this is just the boys. Our girls would fall in two different behavior categories, the I “influencer”-think life of the party and the S “steadfast”-think servant, behind the scenes people oriented and motivated to help others. You may find yourself a misfit in a culture or family system dominated by other behavior styles. For example if your work environment consists primarily of “D’s” or dominant personalities and “I’s” or influencers who like to act first, and plan later, move fast and think of truth as something that is “in the ball-park” but you are a “C” or conscientious THEN you may experience considerable stress at having to make decisions so quickly, move at a faster pace and have co-workers who define truth differently. Similarly, having a child who is an “I” or influencer and loves to be the center of attention, in a family that is primarily “S” or steadfast and values serving behind the scenes, may lead to conflict and tension. Understanding both your and your kid’s preferred behavior and communication style can help improve heart connections and conflict resolution. Hopefully it will help me raise four adults who grow up knowing how to work with people who are different than them, understand their emotions and figure out how to resolve conflict in positive ways. All while not squashing their natural behavior tendencies, which I think, will bring about change and God’s Kingdom in new ways. You may also enjoy: How to Express Love to Your Child or How to Easily Dream Together with Your Spouse. Alison Millikan’s professional experience includes child and youth advocacy work as an attorney, multiple roles on church staffs and various jobs in construction and the service industry. You can read more from her at https://www.experiencegodproject.com. And you can learn more about the DISC Profile here.